Easy ‘zip on / off’ dry-cleanable 100% Cotton drill in a choice of colours. The Taican Futon Chairbed makes the perfect choice for kids rooms, spare rooms and home offices, providing a compact comfortable chair which converts easily into a single size 76cm wide bed. 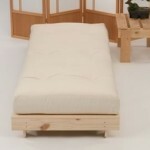 The frame is manufactured in managed pine timber in a traditional 'A' frame futon base style. 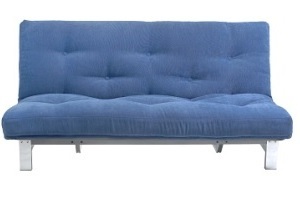 This is then combined with our comfy 6 layer mattress made of lambswool and woolfelt with one layer of polyester for more 'give' and lightness. Depth (as a chair) 35" (89cm). 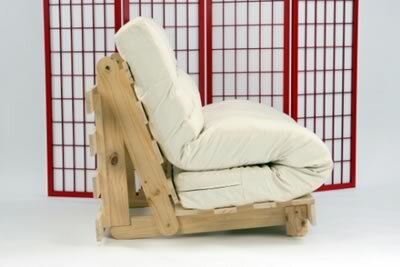 Frame height as a chair 31" (79cm). 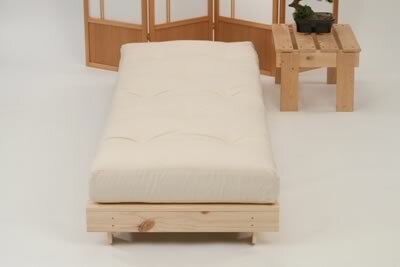 The futon is upholstered in a hard wearing 100% cotton drill fabric in 'natural' colour - removable covers are an option please see 'Removable Covers'-'Trifold'. 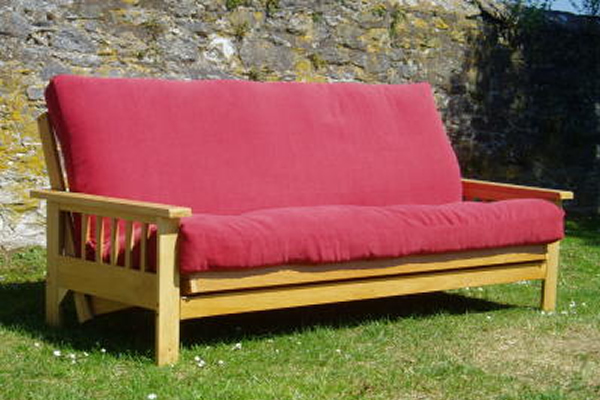 The base is simple, but very effective, made of Monterey pine and ready for self-staining if required. 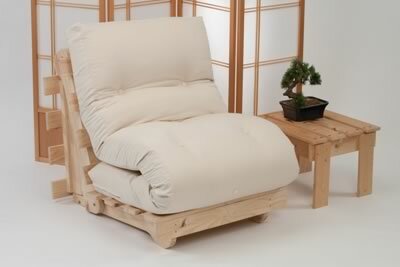 This is a good basic frame with the addition of small legs at the front to make it more comfortable to sit upon (they can be removed, if required, when down as a bed). 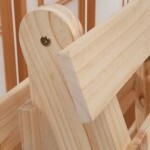 This product is delivered in a flat-pack form for easy transport. 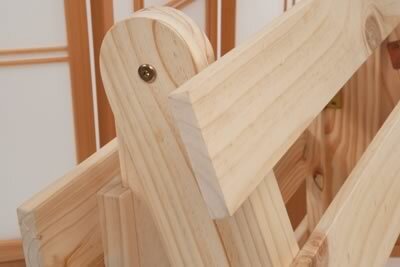 The three slatted sections are assembled but you are required to attached the under-rails ( x 6 ) then join the three completed sections together. Tools needed are an Allen Key (provided) and a 'cross head' / 'phillips' type screwdriver (not provided). Please allow around 1 hour to assemble if it's your first time. If you have any questions regarding assembly please feel free to call us on 01752 226655. (Delivery Mainland UK £Free). 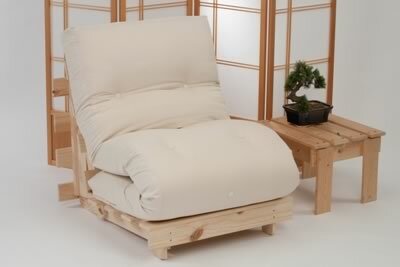 'Removable Covers' are usually in stock (free delivery with model).